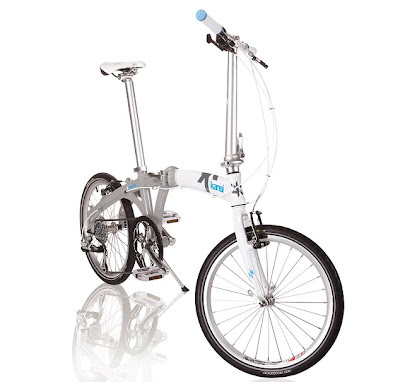 Folding bikes have moved on from the slightly nerdy image I recall from their early incarnations. They were practical, no doubt, but cool? No way. 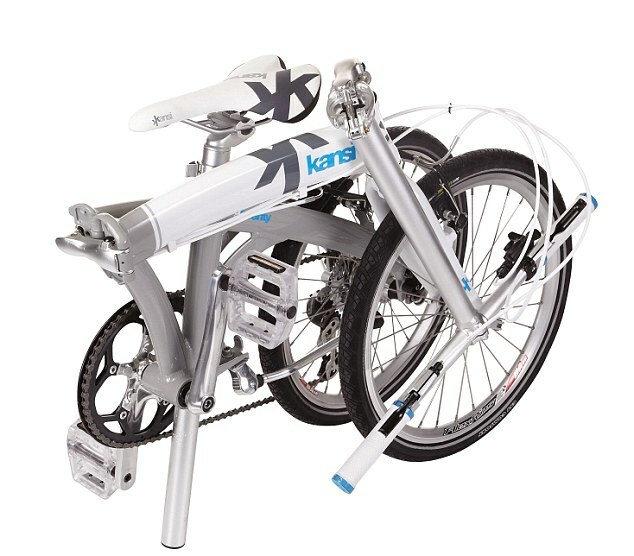 Well, feast your eyes on the Kansi 9twenty - one of a range of four bikes on the market in the UK - highly functional and fab looking. Well, looks are one thing, but what I really love most about my Kansi is its versatility. A couple of weeks ago, I decided on a whim to visit an exhibition in London. While relatively close to my workplace, I would still have needed to jump on the Tube to get to the museum. And that’s where my Kansi 9twenty came to the rescue. I was able to put it in the boot of my car, drive to work and then, within seconds, be mobile again on two wheels for the onward part of my journey. Being used to riding road bikes, I thought it might take me a while to get used to the smaller wheels of the Kansi, but in fact they provide you with a far greater degree of manoeuvrability in London’s tight and too often congested streets. I also love the riding position … a nice sit-up-and-beg stance more akin to my old British motorcycle, now sadly departed. Because the rider is sat high, it affords a great view of traffic ahead where there are plenty of vehicles around and is, therefore, a good safety feature. I also found the Kansi drawing plenty of attention once I had made it to the museum … people are looking for alternatives to bus and train travel in town and are interested to see what is out there. If it looks good as well as riding well, then all the better. More tick points for the Kansi. As I mentioned at the start, the biggest plus-point of the Kansi for me is its versatility. So, I’ve covered the town bit; now for the country. I live in the Chilterns, surrounded by hills. So how was the Kansi going to cope with these? Well, with flying colours once more. The nine-speed drivetrain allows for easy passage up the steepest of gradients and the handlebar-mounted shifter is seamless. I’m about three miles from the nearest station but getting there was a piece of cake … and my getting there didn’t involve having to take a taxi, beg my wife for a lift or take a bigger bike and have to leave it padlocked at the station until I returned. I’ve quickly got the hang of folding up the Kansi, so again it is easy to be on the move again once you have reached your destination … this time the carriage of a train bound for Marylebone Station. It’s nice when you have a bicycle on a train not to feel that you are impeding other passengers, especially during rush hour, and I was able to keep the Kansi under control at my side without upsetting other commuters. Again, on alighting the train, my Kansi was up and ready for action in just a few seconds and I hit the London traffic for the four-mile ride into Kensington. Arrived at work, job done … and my Kansi folded up safely beside my desk.